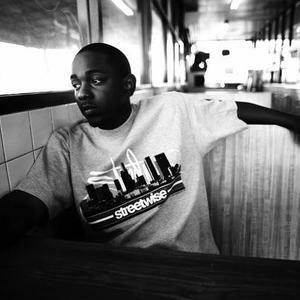 Kendrick Lamar (born June 17, 1987) is a rapper from Compton, California and is a member of Black Hippy collective along with members Jay Rock, Ab-Soul and ScHoolBoy Q. His music is largely influenced by the works of Tupac Shakur, Jay-Z, Nas and DMX. He released the Kendrick Lamar EP in 2009, the critically acclaimed O(verly) D(edicated) mix tape in 2010, a 2011 digital album Section.80, released under Top Dawg Entertainment, and most recently good kid, m.A.A.d city on October 22, 2012. He released the Kendrick Lamar EP in 2009, the critically acclaimed O(verly) D(edicated) mix tape in 2010, a 2011 digital album Section.80, released under Top Dawg Entertainment, and most recently good kid, m.A.A.d city on October 22, 2012. The Recipe Songfacts reports it was one of the cuts from O(verly) D(edicated), "Ignorance is Bliss," that initially interested fellow Compton native, Dr. Dre, in him. The young spitter worked with Dre on the latter's Detox album and the legendary Hip-Hop producer returned the favor by joining Lamar on "The Recipe". The song was premiered on the LA radio station Power 106's morning show on April 2, 2012.